Eek!! You may not know it, but this is one of the most exciting weeks in the fashion world (to me anyways ;)) because THIS Thursday is the beginning of Nordstrom's major anniversary sale! 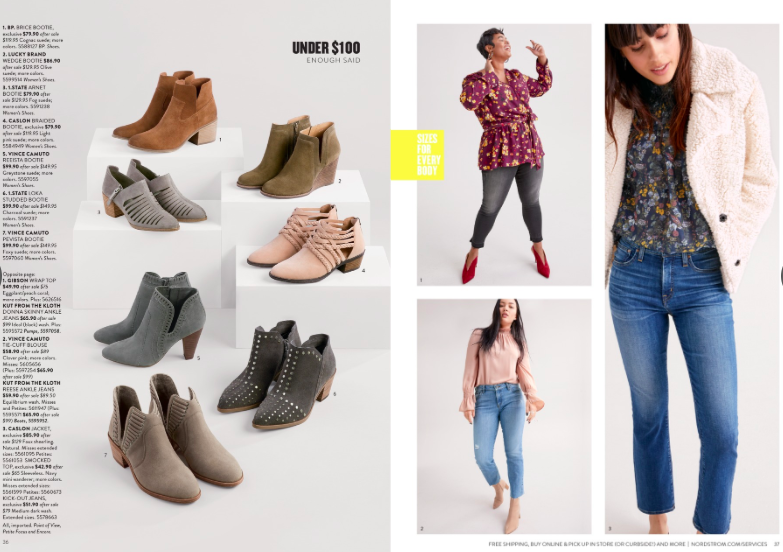 Let me tell you why this sale has so much hype around it- This is one of the ONLY sales where the brand-new fall stuff goes on sale before it actually hits the floors for fall. Most sales are clearanced items that didn't sell well the previous season so most of the sale stuff at the end of July/early August will be summer stuff. But not this one, my friends! And for someone who gets overly hyped about the best season of the year (yes, I'm basic and love fall and I don't care who knows it), I can't think of anything better than sale sweaters and jackets and booties right now. I've rounded up a few of my favorite items from the catalog for you to browse below although you won't be able to shop them until the sale starts- you can view the whole catalog here. July 12-19th- Early Access to the sale in-store and online for Cardmembers only. It is absolutely worth it to have the store card if only for this reason (although they do also have other great rewards all year)! From experience last year, you need to be on your game for this sale because the sizes go QUICK. Cardmembers get an extra 8 days of sale shopping before everyone else. 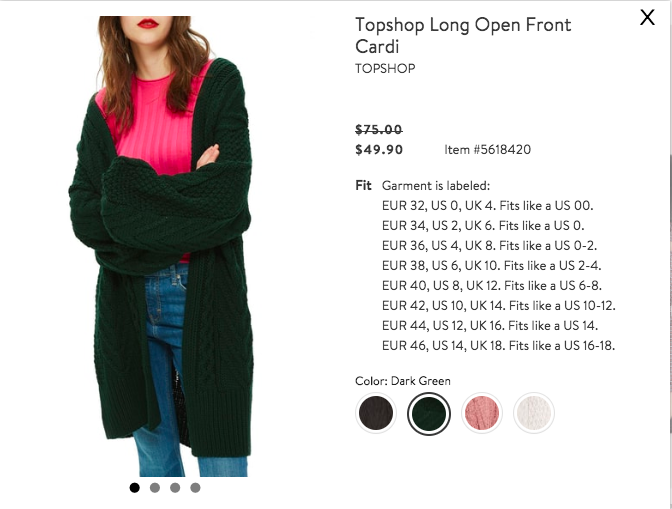 This is my first time experiencing this sale as a fashion blogger, just last year I was only shopping the sale as a consumer so it's still fresh. I feel like I learned a few things last year that you may like to know when shopping this year to make your life a little easier. 1. Get the card- I know, I know, we all hate extra credit cards- I do too honestly. 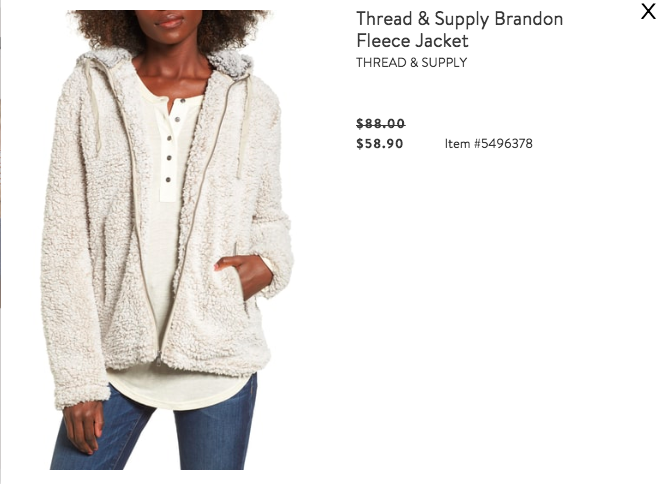 But, I got the Nordstrom card specifically for this sale last year, and I was so glad I did! Things sell out so quickly and this allowed me a little extra time to pick out my favorite things without feeling like I needed to stock the site for restocks every few hours. If you don't want to use it at all the rest of the year, I still think it's worth having just for this sale each year! 2. Focus on the basics- Here's a mistake I made last year. I ordered several inexpensive tops that I could still wear in the summer (because let's be real it was over 100 degrees when I was shopping), and I wanted to wear them right away. 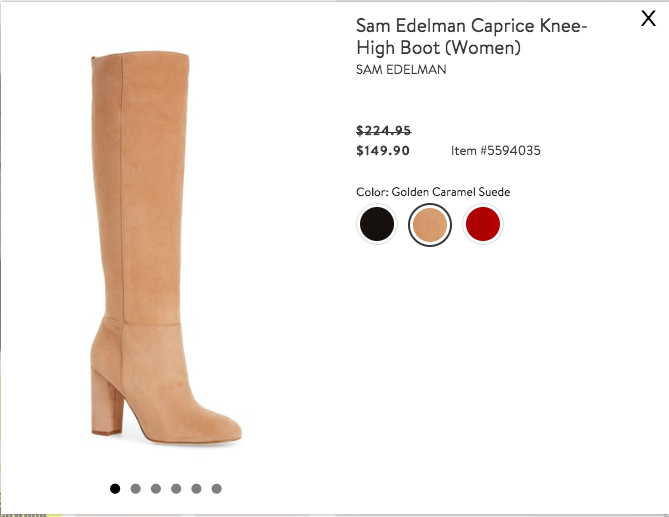 But then October/November hit, and I was real mad that I was dying for a jacket and a pair of booties that were now almost double the price they were during the sale. As counterintuitive as it may seem, my advice would be to spend your money wisely on the basic items you will wear everyday in the fall/winter. My plan this year is to focus on shoes and outerwear. 3. Get the SPANX Leggings- Okay, maybe this is a little more personal, but HOLY COW I spent so much time grieving a pair of those nice leather SPANX leggings all year last year. Haha! 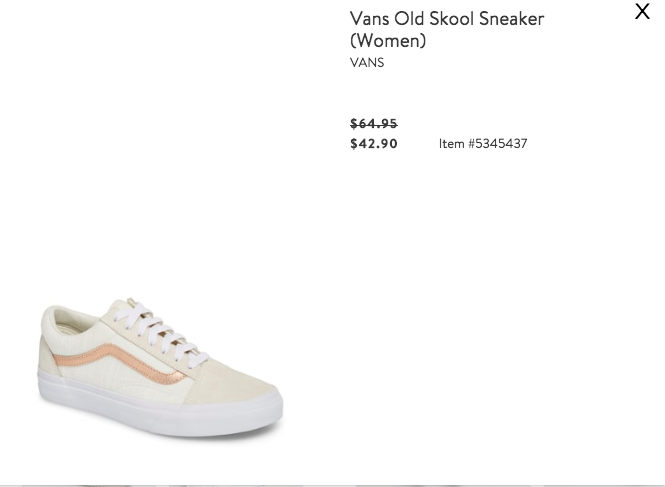 Didn't get them during the sale because they were a splurge, but I know I would have worn them to pieces, and I truly watched for them to go on the same sale ALL. YEAR. LONG. and they never ever did. Plus they were out of my size most of the year even at full price. So, if you've been considering a pair, I promise now is the time to splurge! 4. Shop online- The stores can be really crowded, sizes are picked over, and there are often long lines for the fitting rooms. Nordstrom offers free shipping and free returns all of the time so my advice would be order several things you're interested in, and if you don't like it all, you can return what you don't like for free without ever having to miss the crowds. There's no risk with ordering online at Nordstrom, and they are generally really great about getting packages sent out quickly. 1. Blog: I will be adding a "Sale" tab to the navigation at the top of my site where I will pick out all of my favorites from each category of this particular sale (shoes, home decor, accessories, etc.). I will do my best to keep it updated with items that are in stock or new things that I like! 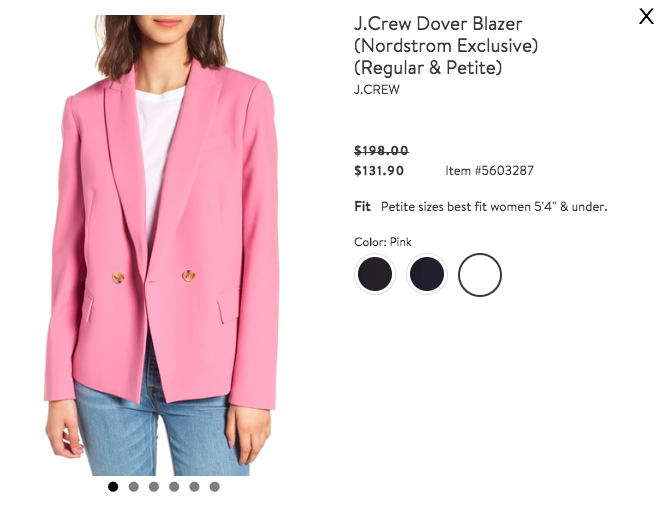 There will only be Nordstrom Anniversary Sale items in this tab until this sale is over so rest assured you can come back there for easy shopping and save yourself lots of hours of scrolling. 2. LIKEtoKNOW.it: I will be posting daily styled outfits from the sale as well as try-on items to my LIKEtoKNOW.it profile- this will be the easiest and quickest way to shop the sale in real-time each day! Follow me on LIKEtoKNOW.it here if you aren't already to make sure you don't miss a post! You can also click here to read my blog about the app if you don't know what LIKEtoKNOW.it is. 3. Instagram/Facebook: I will be covering lots of try-on's and new favorite items in my instagram/facebook stories so be sure to follow along there as well. I will provide sizing/fit info in my stories for the items I try on or purchase. You can follow me on instagram here and utilize the "shop my instastories" link in my bio to shop specific try-on items. You can follow me on facebook here. Enough talking, let's get browsing! Here's a few of the things I've got my eye on for this year!